This podcast will focus on the good news about bad behavior! Looking into some of the top parenting models, Katherine Reynolds Lewis and Dr. Robyn Silverman discuss how best to help our children thrive in different situations. Inspired by parenting models from authors and podcast guests, Dr. Ross Greene and Vicki Hoefle (among others), we discuss how to best handle different scenarios that are common in households across the world. Ultimately, we want to use connection and communication to help children learn strategies that help them to become more capable—and also allow them to learn self-regulation. 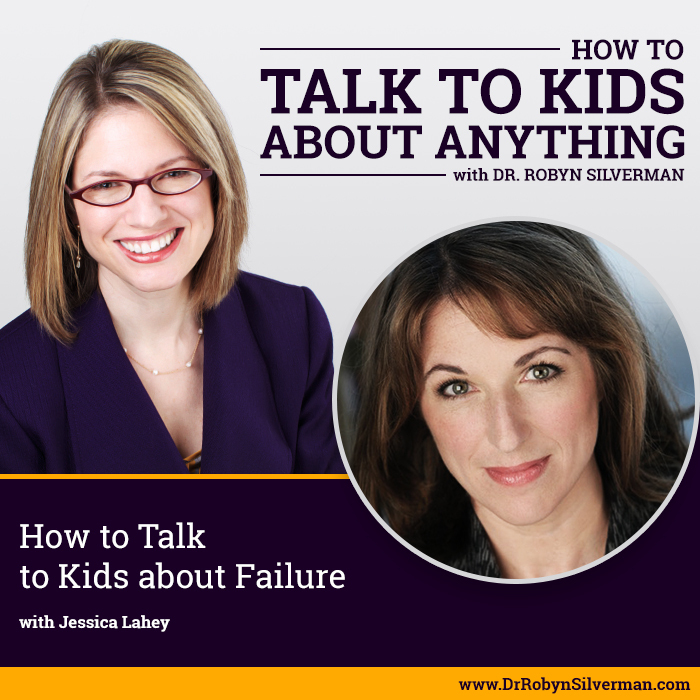 My next guest has some good news about bad behavior—and some great tips and scripts to help us better understand our children and how to help our children learn to self–regulate. Why we are facing a crisis of self-regulation now—and what we can do about it. The most powerful tools we can use with children to help with behavior and wellbeing? Why we must give up the goal of being the “perfect parent” and how making mistakes is helpful to raising well-adjusted kids. How to respond when a child makes a poor behavioral choice such as throwing toys/chairs, not going to bed when it’s time, pushing back when asked to shut off screen-time. What to do when a child is having trouble in school. Katherine investigated Dr. Greene’s model (see Dr. Green’s interview on the podcast here-> DrRobynSilverman.com/RGreene_PC) up in Maine. This sparked a viral article on Mother Jones and then, the book. In the book, Katherine looked into 4 different models- Dr. Greene’s model, the Pax Good Behavior Game, Parent Encouragement Program, Vicki Hoefle (Duct Tape Parenting). Is there something different about kids today? What can we do about it? These are the key questions Katherine sought to answer. 1 in 2 kids will be diagnosed with a mood or behavioral disorder by age 18. The suicide rates have doubled in the last decade (ages 10-14 years old) according to the CDC. Increased 41% in kids ages 15-19. 3 common elements in parenting models that work: (1) Focus on connection between the adult and child (2) Communication between the adult and child (3) Capability building- growing life skills and social-emotional skills. Neuroscience- when they are dysregulated and in flight or flight- their amygdala lights up. They are not able to access the prefrontal cortex. Our goal is to help them self-regulate and problem-solve- and make a plan for next time- and understand what’s happening with them in their brains. For example, child is using the ipad when s/he is not supposed to do so. If we lean into them and start yelling, they get amped up, the amydala starts going into fight or flight. Get zen, connect (arm around them), empathy for what they are doing, then move on to communication. “Wow! You are still doing fortnite? I thought you had moved on from that already.” Then go to the communication piece. You can put your hand out- that pressure can make it so your child responds- without arguing. You can discuss after “We had a problem- are you able to use devises on a school day or should we reserve them for the weekend?” Problem-solve. You can also have a consequence. Agreed-upon. Matter-of-fact. You lose 15 min of screen-time. We need to have the courage to be imperfect, to try something new and fail and to recognize that something we are doing is not working. Because- (1) We are imperfect. (2) We are the model. Show them how to respond to stress and messing up. Apprenticeship model- we don’t expect our children to be great at these skills already—they are learning, we are coaching, we are mentoring. In previous generations, there was a lot more autonomy. Kids had the chance to try things and mess up and try again. They weren’t overscheduled- they got to play. We need to take more of a mentoring role—let the be your apprenticeship. What does it feel like when you are having a panic attack? Let’s brainstorm 10 things you can do when this happens again—tools in THEIR toolbox. What worked? What didn’t work? They can get better and better. Sleeping issues: Don’t yell BUT don’t give in- don’t lie down with them or let them stay up. Script: (used at a different time than bedtime) “We know you guys love to connect around bedtime. For us, that’s a cooling down time from our day. We need adult time. After 8pm, we are going to be doing our winding down time- reading a book and connecting with each other during adult time. Before 8pm, we’d love to read you a story, talk about your day, cuddle, brush teeth together—but after 8pm, we’re going to be offline.” Then they agree. Put it in place and let it play out. After 8pm- don’t engage. “We’re off-duty.” Then, ignore. Then, they became much more aware of the time. Respectful of the child but also of the parents. Sibling rivalry is how kids learn social skills. It’s great practice—conflict resolution, negotiation, compromise. Stay out of it! Some people say; “all fighting must happen outside.” If you can’t resolve it quietly inside, you must go out on the front lawn. Strategy: Everyone in the same boat. “It looks like the remote control is causing a fight. I’m going to put it away. If you can resolve it calmly amongst yourselves, you can have it back.” The toy- or object is the problem. Build your child’s awareness. Learn about themselves. Raising Awareness: Ask questions. “I hear you saying you don’t want to go to school. In the past, you have enjoyed it. What’s going on? What’s changed for you? What’s it like for you?” “I hear that this is hard for you. I’m not there with you in school- so paint me a picture—and tell me about one thing that’s hard for you in school.” (The kids are annoying, the teacher is annoying….) “OK- so the teacher is annoying. What did s/he say? What did you do? What do you think the teacher was thinking—why did s/he do what s/he did?” (Thank child for sharing it with you). “Is there one thing you can do tomorrow that would make things easier for you? Better for you?” Then follow up. Did you do that thing? Did it help? May take a while before they understand their role. Our children are not broken. Not flawed. Every human being has a unique mix of brain construction. “1 in 2 kids will have a mood or behavioral disorder by age 18.” (NIH- representative sample of more than 10K kids). “We want to be worked out of a job—when we, as parents, are no longer in charge of them, we aren’t controlling them and we aren’t telling them what to do because they have self-discipline. “When we can use connection, communication and capability in a solution to a child’s behavior—that is what is going to grow their self-regulatory skills. Vicki Hoefle interview on #talktokids will be next week! Check back!